Congratulations are due to USWNT midfielder Megan Rapinoe, who was honored by the LA Gay and Lesbian Center at their Anniversary Gala this past weekend. Rapinoe was the recipient of the Center’s Board of Directors Award for coming out as a high-profile athlete and for representing the USA as of the few out competitors at this past summer’s Olympic Games. 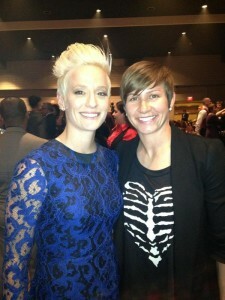 Fellow Olympian Lori Lindsey and other teammates joined Megan at the gala, and David Beckham sent greetings via video. 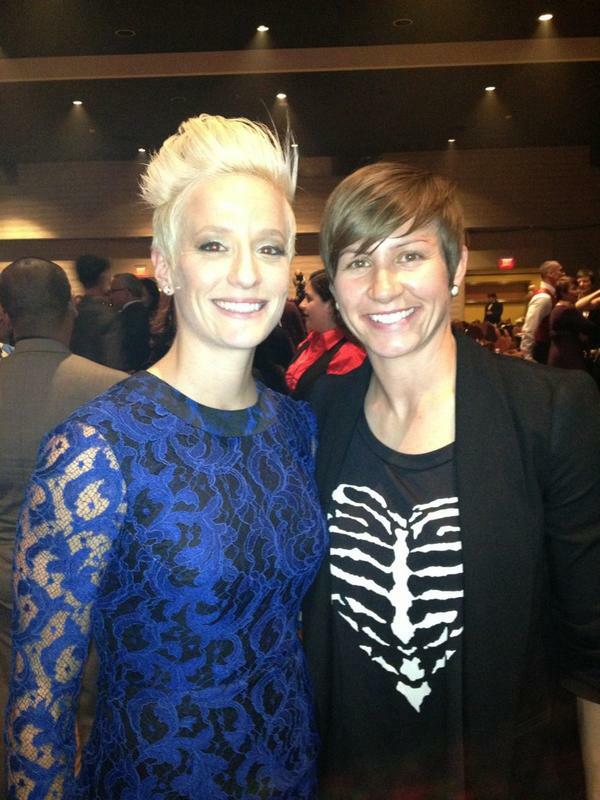 Here are Megan Rapinoe’s remarks upon receiving the award, which are very sweet and poignant. And she includes a great story about Lori Lindsey encouraging her to come out.